IWASSA Co.: Do patching security holes in your software easily with the "Secunia PSI". 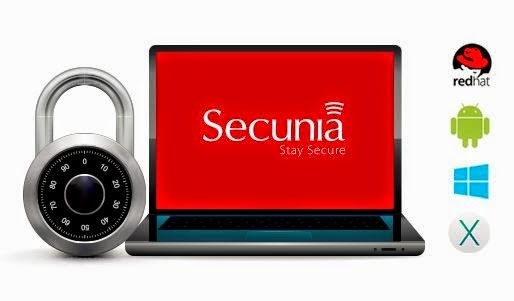 Do patching security holes in your software easily with the "Secunia PSI". Of the biggest security risks that threaten the user does not update the programs focused on his computer When penetrating companies programmed to a specific program or discover security flaws do not exploit those gaps to penetrate the largest possible number of users, but the companies programmed you download security updates to plug those gaps, is not updated your device will be vulnerable to penetration. After you download the program and install it, when it is running is doing a check and immediately begin to examine specific programs on your system as it scans the system files and this is what sets it apart from other programs that are examined for external programs only, where does this based on its database is huge and which include programs for more than 3,000 companies. And there are the first two cases in which the software will automatically update and the other tells you that you must manually updated. When you click the renovation may take you to a web site where you can download the update, or it may notify you that the product is no longer supported and you remove it from the system.